squid | I made inky. 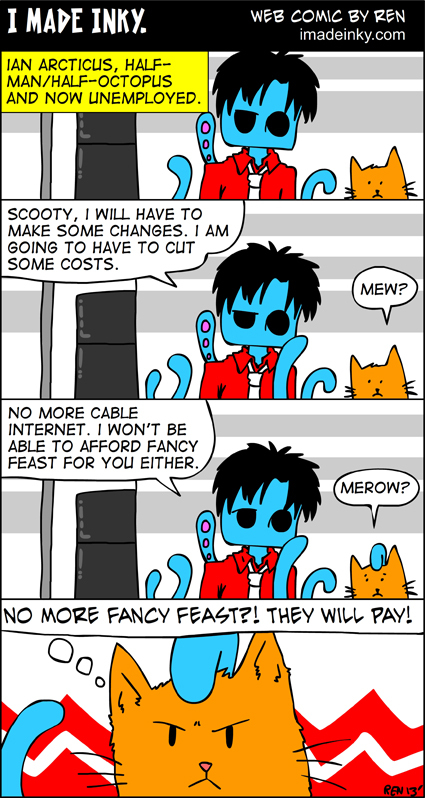 Comic #92 – Cost cutting. I spent 2 hours of my life drawing and coloring comic 92 for your pleasure. True story. Don’t take Scooty’s Fancy Feast cat food away… or there will be consequences. 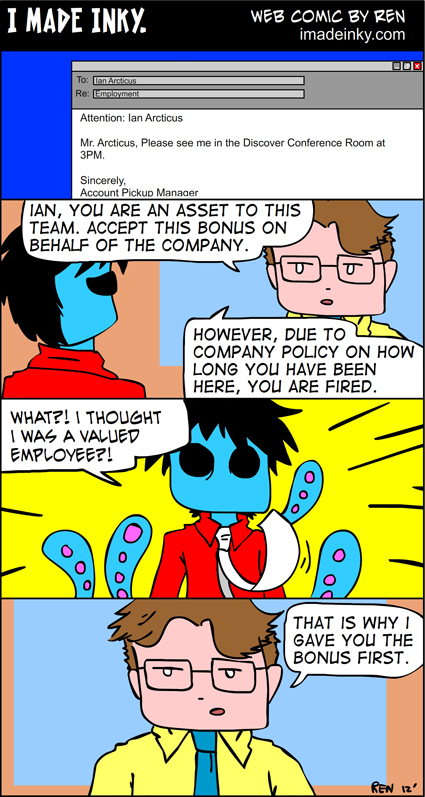 Comic 90 took 2.5 hours to create. True story. Unfortunately. 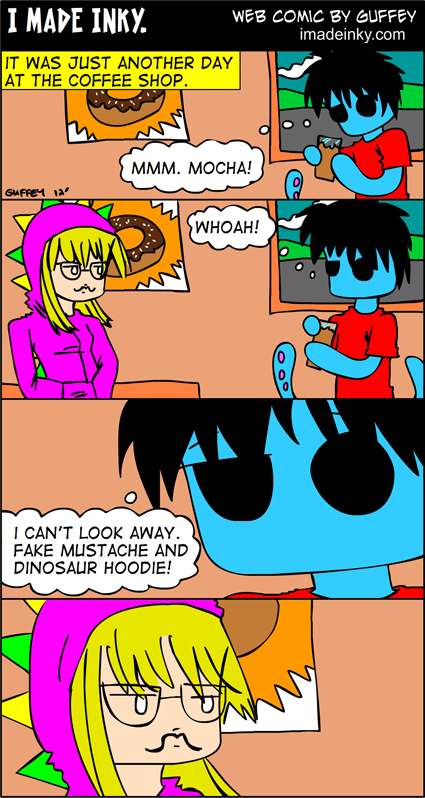 Comic #89 – Can’t look away. Comic 89 took 2.5 hours to create. True story. Comic 87 took 3 hours to create. The comic was completely illustrated, colored, and lettered while I was enjoying a fancy coffee drink at City Coffeehouse in Allen Park, MI. 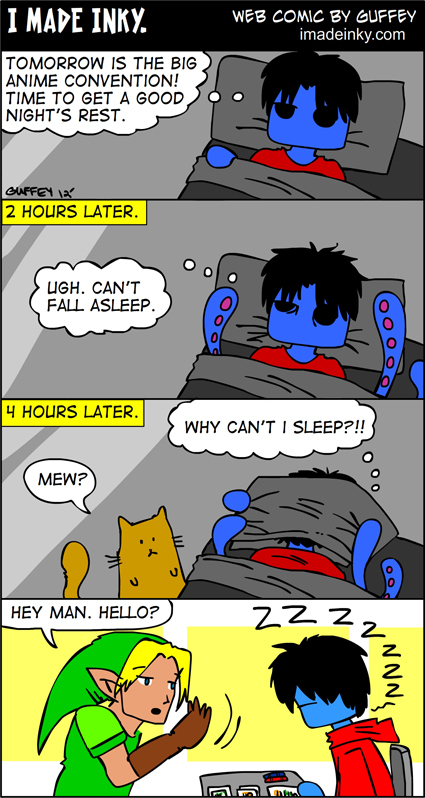 Comic #85 – Contacts Part 2. Comic 85 took 2 hours to create. 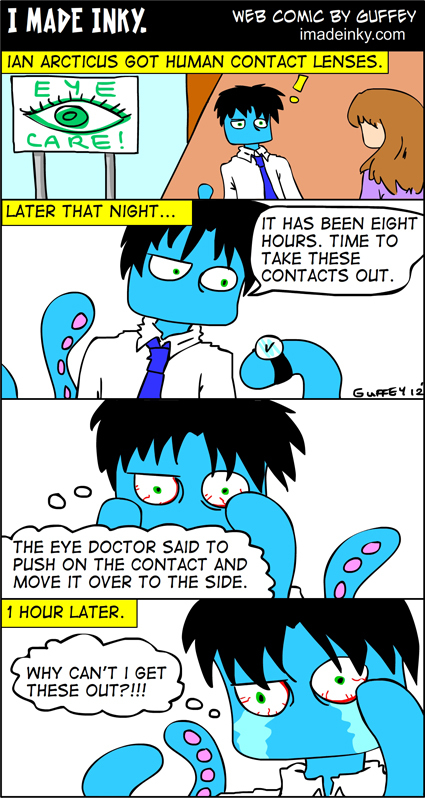 Comic #86 – Contacts Part 3.